A holiday of discovery travelling on a unique network of Victorian steam, electric railways and horse drawn trams. Travelling by train on the Isle of Man is a unique experience and truly like taking a step back in time. Away from the hubbub of 21st century rail travel, an Isle of Man Railways Holiday can provide the perfect antidote to fast ‘inter-cities’ and the crowded ‘commute’. It’s a throwback to a bygone age when the pace of life was slower and transport was of an altogether more sedate nature. 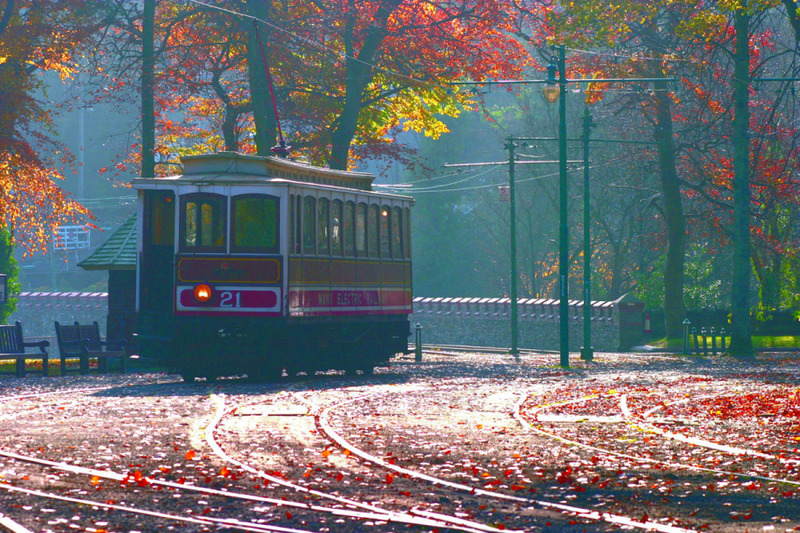 The Island is blessed with a charming network of Victorian steam, electric railways and even horse drawn trams. Each is lovingly preserved and fully operational - a not-to-be-missed experience for many a visitor. Opened in 1874, at 15.5 miles in length, the Douglas to Port Erin 3ft narrow gauge railway is the longest of its kind in Britain. It still runs with the original locomotives and carriages. Imagine travelling to work every day on this – as many Manx residents regularly do! At Port Erin, why not stop off and visit the Railway Museum? 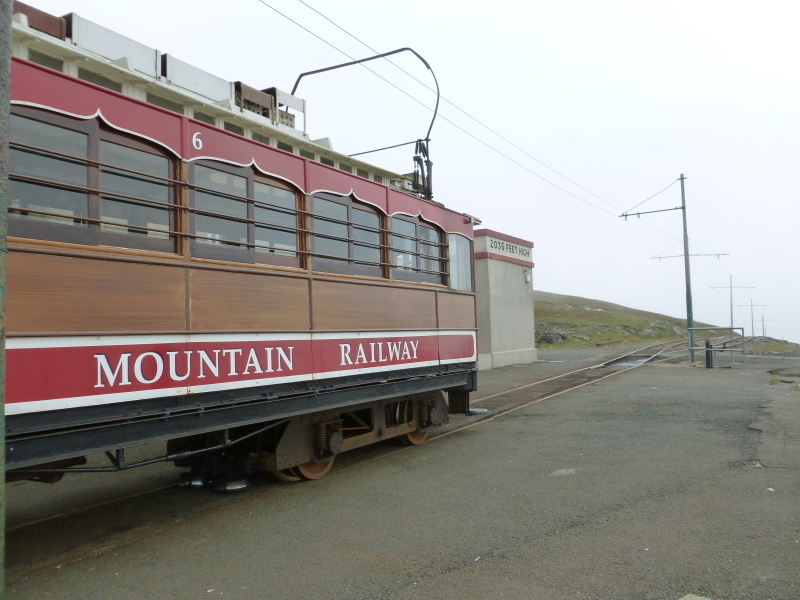 Still going strong after more than 100 years of service, the electric railway will take you to the summit of the Isle of Man. 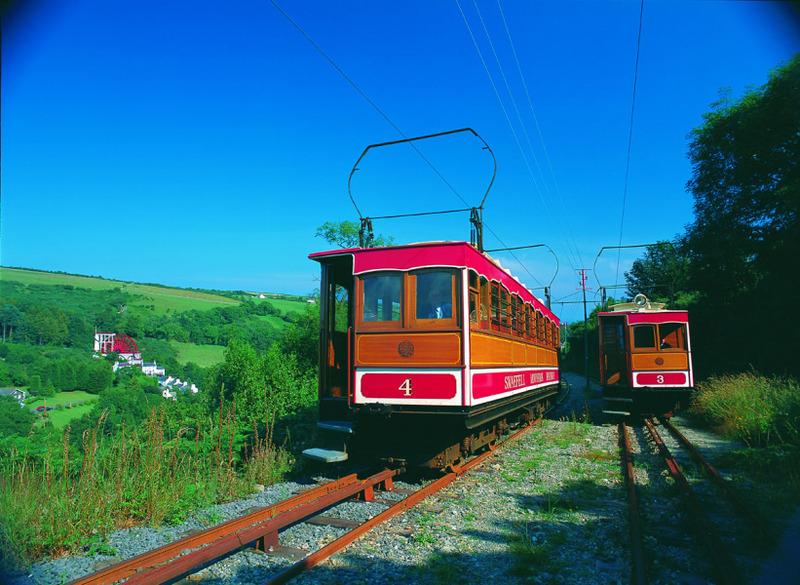 Open and closed tram cars transport you on an unforgettable journey along the dramatic east coast from Douglas to Ramsey – via Laxey. 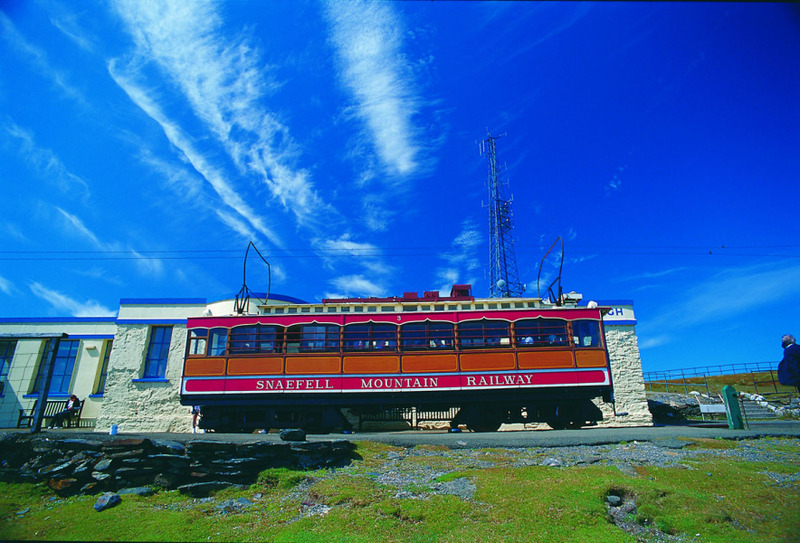 Then alight at Laxey and take a trip on the Snaefell Mountain Railway, to the highest point of the Isle of Man. At the peak, you can stop for refreshments and, on a clear day, you can marvel at the view of seven kingdoms—that’s Mann, England, Scotland, Wales, Ireland, the Sea and Heaven. The world’s oldest surviving horse trams, dating from 1876 and with many of the original cars still in use, remain a popular tourist attraction, clip clopping along Douglas’s splendid one and three quarter mile crescent-shaped Promenade seafront. The three-foot gauge tramway runs the full length of the Promenade, from the Manx Electric Railway at Derby Castle at one end to the Sea Terminal at the other. 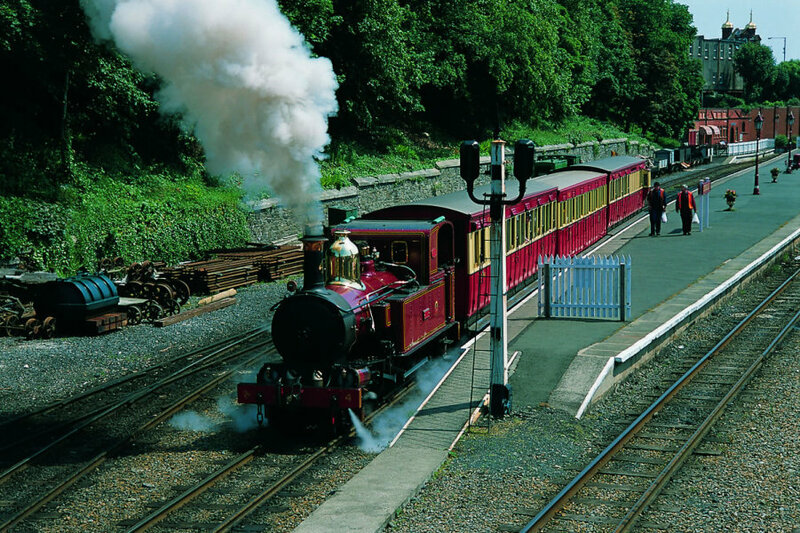 Other volunteer-run Railways include Groudle Glen, Great Laxey Mine and the Orchid Line miniature Railway. They are each lovingly preserved, providing their own special insight into the Island’s wonderful rail heritage – and all invite further opportunities to marvel at some delightful coastal and countryside views. To set you on track, we can make all the arrangements to help you personalise your Manx Railways Holiday. Call us today on 01624 664460 or feel free to make an online enquiry. Event tickets can also be added to complete your break. Packages are also available by Air and can be tailor made to any duration of stay, call reservations today and personalise your Vintage break.